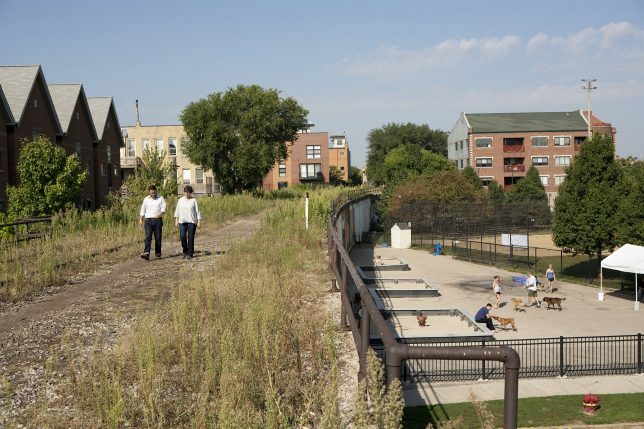 A whole lot of valuable land in America’s densest urban centers is occupied by the disused and often toxic remnants of neglected infrastructure, industrial complexes and other blight that could be green space instead. 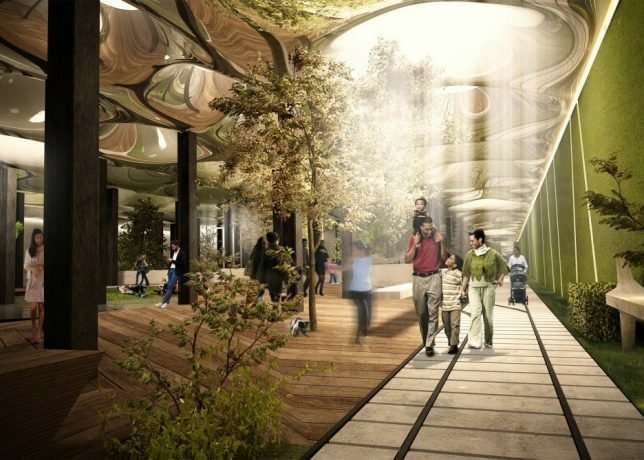 Taking inspiration from New York City’s High Line, an elevated linear park along a former New York Central Railroad spur, many cities are transforming urban riverbanks, viaducts, underpasses, freeway structures and even the tops of tunnels into parks, bike paths, pedestrian routes and other public amenities. 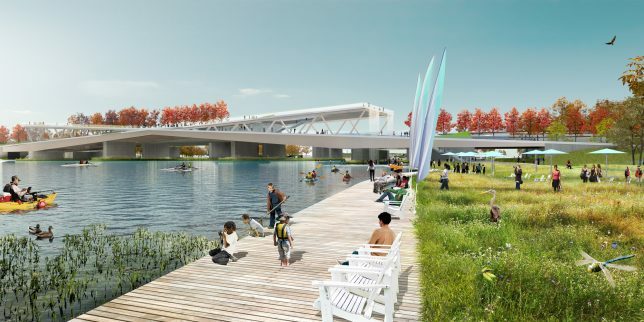 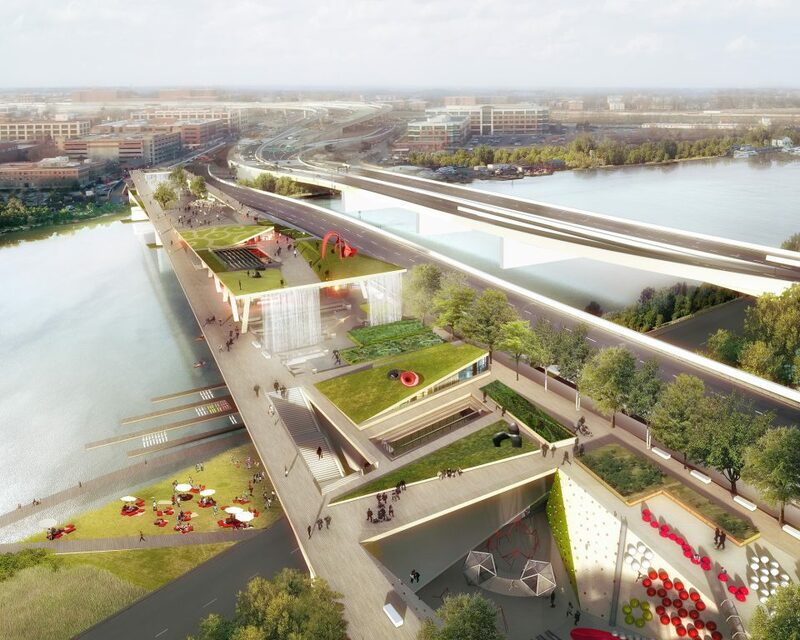 An aging freeway structure over the Anacostia River in Washington D.C. is set to become the 11th Street Bridge Park, with officials announcing in October 2017 that a design by OMA + OLIN has been chosen. 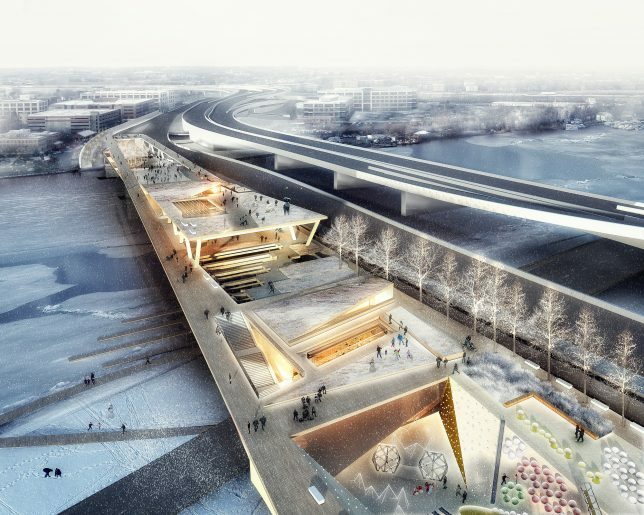 Each ‘lane’ of the bridge is pulled upward toward the middle, crossing each other to form an X shape; the space underneath these overhangs will host a performance area, cafe, plazas and other public functions. 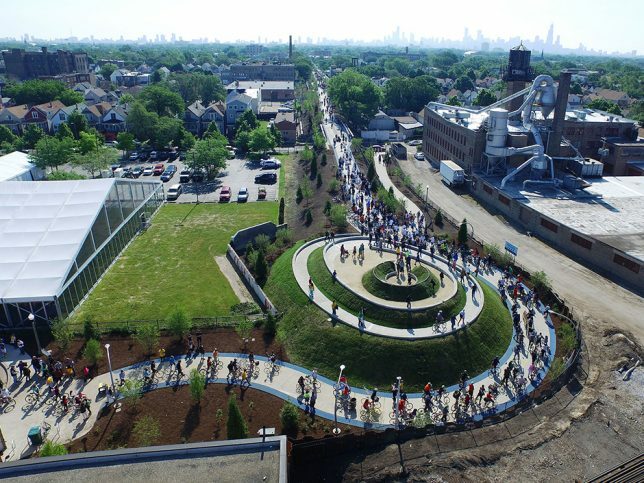 Chicago converted its abandoned Bloomingdale Rail Line into a 2.7 mile linear park called the 606 (named for the zip code prefix shared by everyone in the city.) 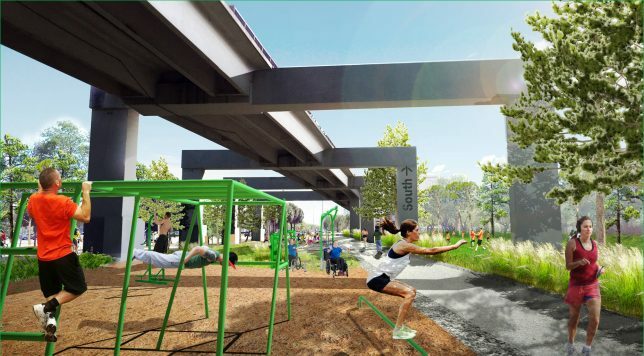 The greenway connects four separate neighborhoods and includes a park and trail system with elevated trails for bikers, runners and walkers as well as event spaces and lots of greenery. 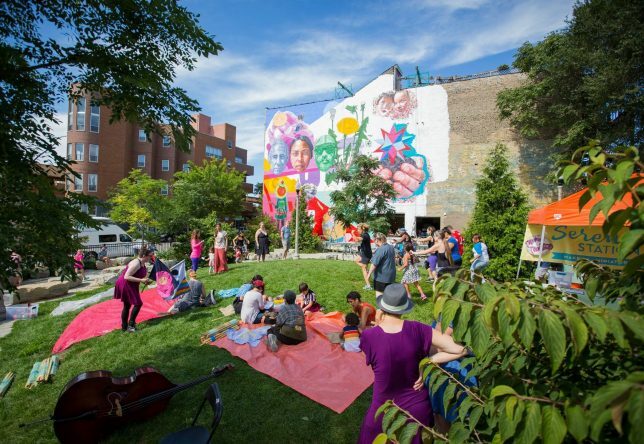 The project was designed by the firm Frances Whitehead, which approached it as a ‘living work of art,’ demonstrating the vital role that arts play in the fabric of the city. 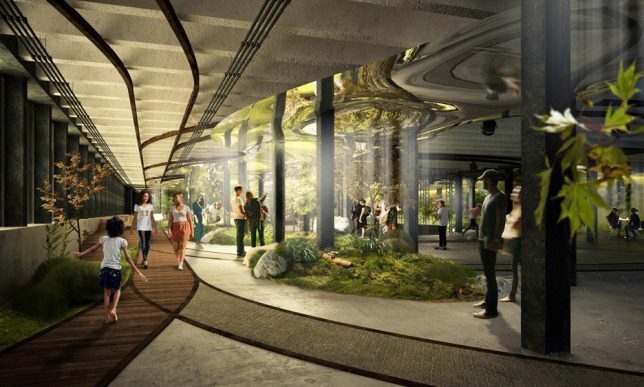 Down in Miami, a stretch beneath an elevated rail line could become ‘The Underline,’ a new public park by James Corner Field Operations, one of the studios behind the High Line in NYC. 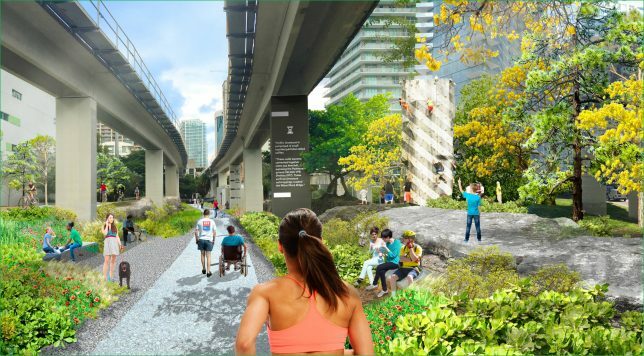 The 10-mile-long park and urban trail would sit beneath the city’s MetroRail, following an existing bike path called the M-Path, but widening it and adding a parallel pedestrian path that winds through various ecosystems of native plants and habitats for birds and butterflies. 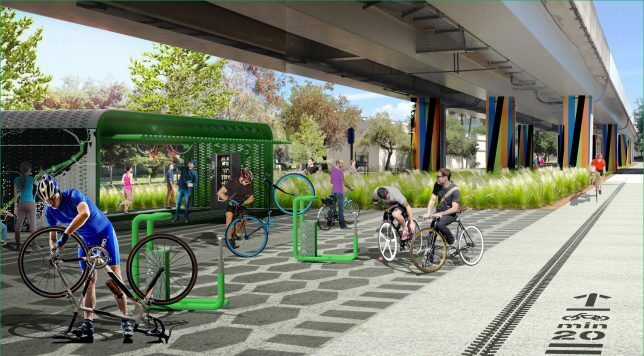 Spaces for arts and recreation would be scattered along the way, like pop-up structures and a bike tune-up station.